Step into the forest for a dark, Scandinavian fairytale. Performance storyteller Sally Pomme Clayton takes the audience on a snowy journey, with a polar bear and a princess, trolls, stolen children, and a terrible curse. 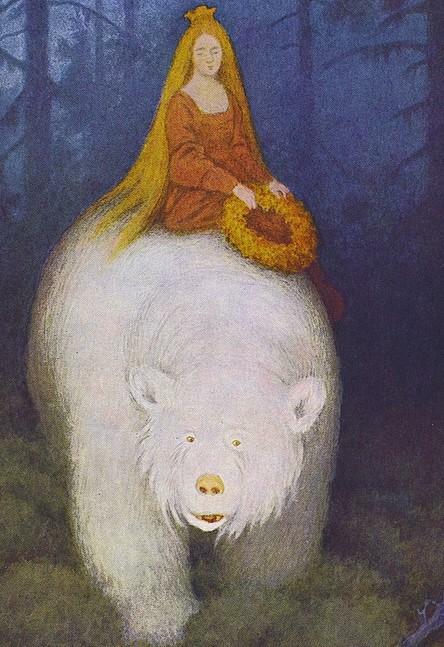 Set in a world of ice and snow, frost and firesides, the princess climbs the glass mountain to set the cursed bear free, but can she undo the terrible Troll Hag’s spell? The White Bear King is the perfect wintery romance. It is magical, funny and tinged with darkness. Sally Pomme combines vibrant spoken word with strange musical sounds and song, evoking other worlds, and a rich metaphorical transformation. The performance is for adults and young people aged 10 upwards. The performance lasts about 55 minutes.